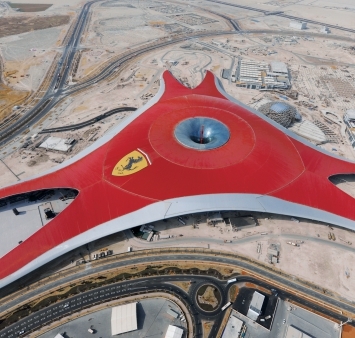 Following an initial collaboration in 2009 for the construction of Ferrari World Abu Dhabi, Iemants once again realised a project for this amusement park. We were responsible for the engineering, manufacture, delivery and installation of one of the facades for the new attraction ‘Turbo Track’. The attraction opens in March.